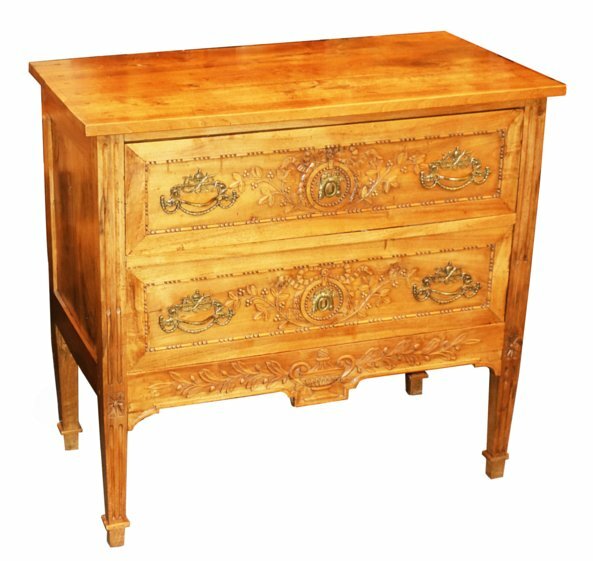 Walnut wood, carved drawers with bouquet motif, brass hardware. Tapered legs. H: 38" x W: 41 " x D: 21 1/2"